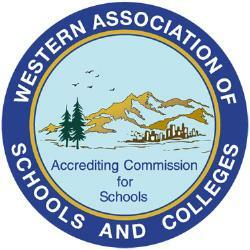 ACS WASC accreditation is a process schools use to monitor student learning and set school improvement goals. ACS WASC accreditation is an ongoing cycle of quality. Schools assess their program and the impact on student learning with respect to the ACS WASC criteria and other accreditation factors. Every six years,* accredited schools conduct a self-study and host a self-study visit. The self-study process culminates in the refinement of a schoolwide action plan. Throughout the accreditation cycle, schools are expected to address the schoolwide action plan and demonstrate evidence of acceptable student achievement and school improvement. Appropriate reports and reviews throughout the six-year cycle of accreditation support this process.